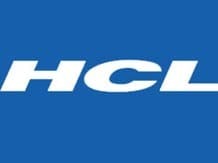 Beating market expectations, Noida-based HCL Technologies, India's fourth largest information technology services company, today delivered a strong set of numbers for the quarter ended March 31, with net profit at Rs 1,040 crore, a 72.6 per cent jump over a year and a 7.8 per cent rise sequentially. Revenue for the quarter is up 23 per cent over a year at Rs 6,425 crore, a 2.4 per cent rise over the previous quarter. The earnings before interest and taxes margin remained flat for the quarter at 19.9 per cent, as against 19.8 per cent in the previous quarter. However, for a second straight quarter, the company’s software services business reported a drop in overall headcount, indicating it could be using this as a lever to optimise costs. The total employee count in the quarter was 84,403, down by 791 from the previous ones. HCL Tech follows a July-June accounting period, making the March quarter the third one for the year. The company also announced the appointment of Keki Mistry, vice-chairman and chief executive of Housing Development Finance Corporation, as a director on its board. HCL Tech was in the news late last year, when it decided not to offer joining letters to some 8,000-odd students of the 2012 batch. The company said it had taken on board 1,200 students in the past year and was likely to take more by August. It will not go for campus hiring this year. Backed by strong performance in key regions such as North America and Europe, 93 per cent of business came from repeat customers. HCL Tech had 547 active customers in the third quarter, against 544 in the previous one. However, new client relationships showed a progressive decline from 52 in the first quarter to 39 in Q2 and 37 in the third. The company also increased the number of its clients in the $100 million and above category to five. Anant Gupta, president & chief executive, said the company’s non-linear growth strategy had paid off, amidst a challenging and uncertain business environment. While the focus on the re-bid market worked well, most analysts noted its higher dependence on a single service, infrastructure, remained a key revenue risk. “There are margin headwinds. The company will have to achieve further productivity improvements to protect margins,” noted Dipen Shah, head of private client group research, Kotak Securities. According to Gautam Sinha Roy, vice-president, equities, Motilal Oswal Securities, the dollar revenue growth of 3.2 per cent was in line with expectations, even as Ebitda (earnings before interest, taxes, depreciation and amortisation) margins held up at 22.4 per cent. “Its two largest geographies did well, with the Americas growing 3.6 per cent and Europe growing 6.3 per cent,” the analyst noted. Analysts said the company had benefited from stronger growth in infrastructure management, also the fastest growing service line for the sector and nearly 30 per cent of their business. At the Bombay Stock Exchange, the scrip ended the day at Rs 751.15, down 1.5 per cent.